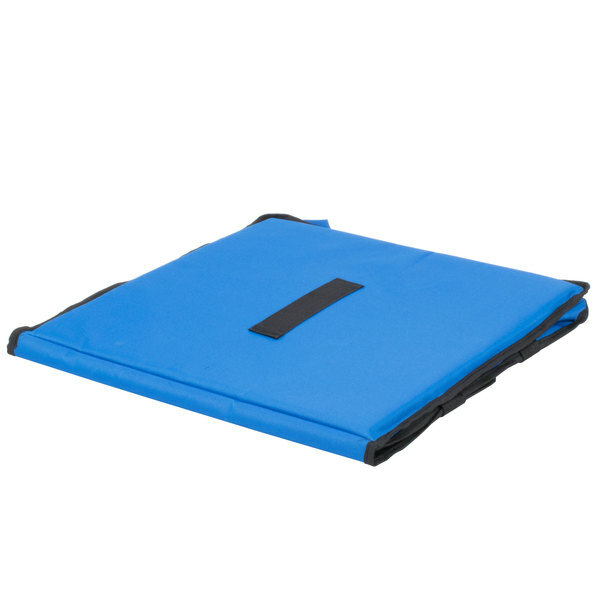 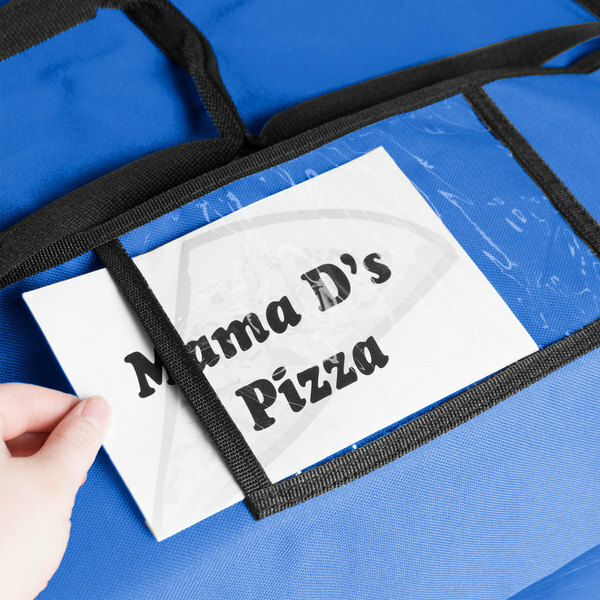 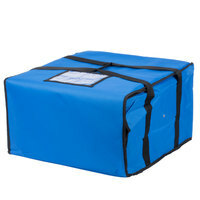 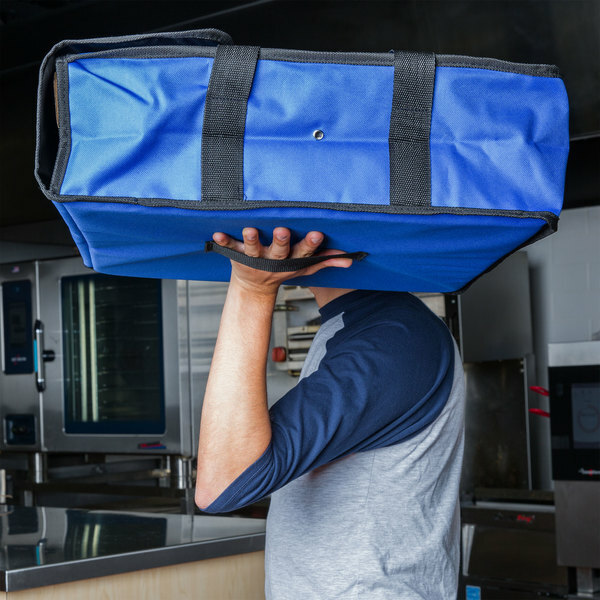 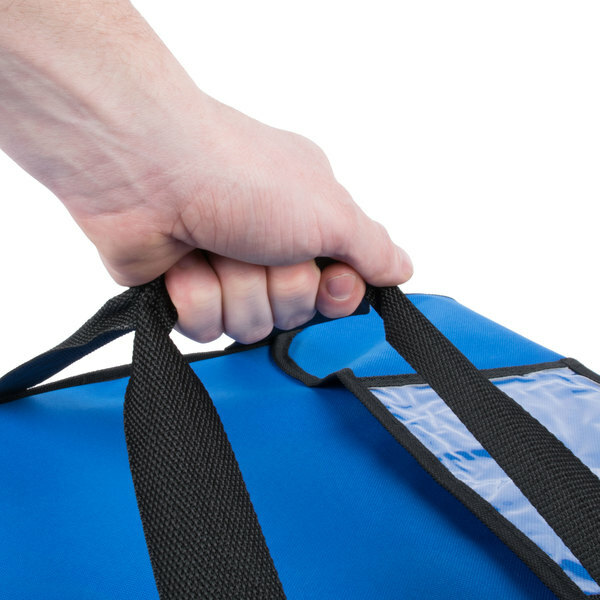 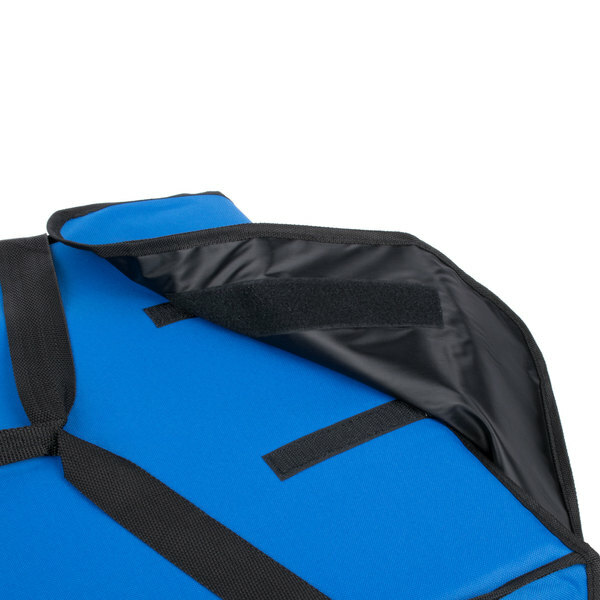 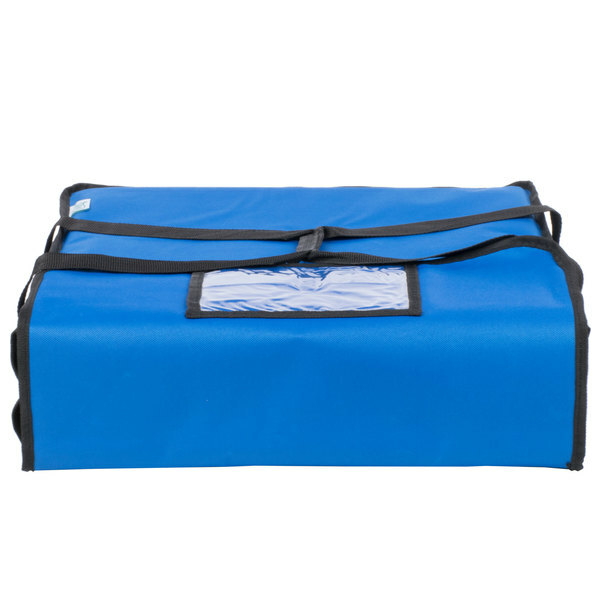 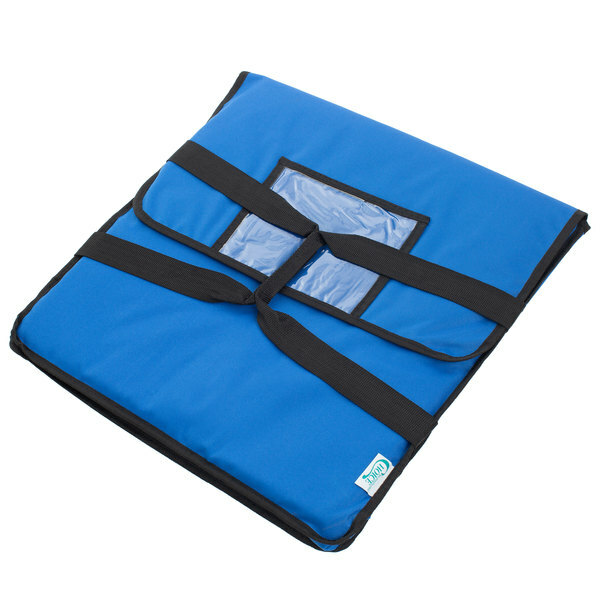 Easily transport steaming-hot pizzas with this Choice 18" x 18" x 5" blue soft-sided nylon insulated pizza delivery bag! 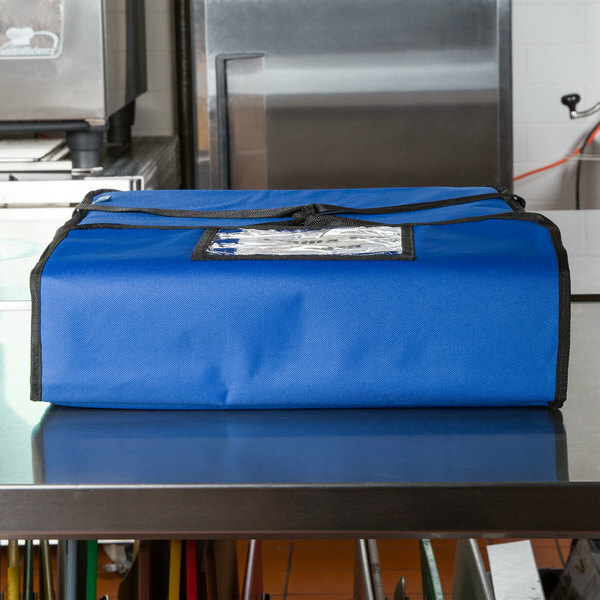 This Choice 18" x 18" x 5" blue soft-sided nylon insulated pizza delivery bag is the perfect addition to any pizzeria's delivery service. 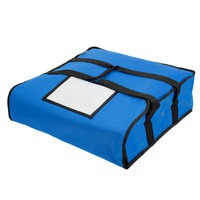 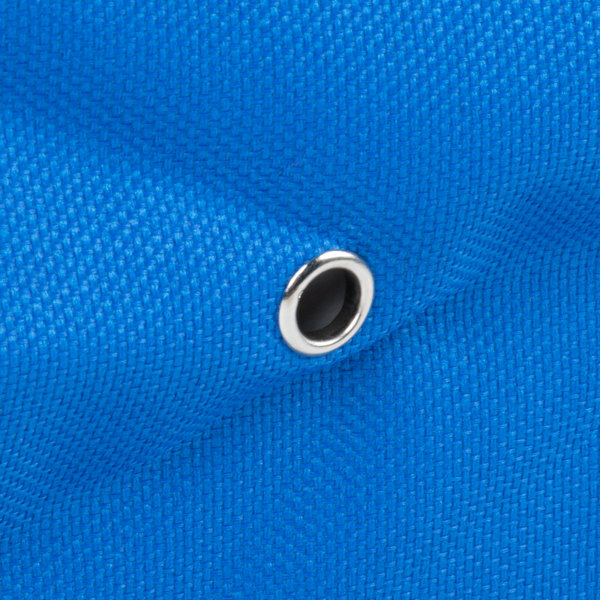 It's made of durable nylon and features heavy stitching around the exterior to prevent rips or tears at the seams. 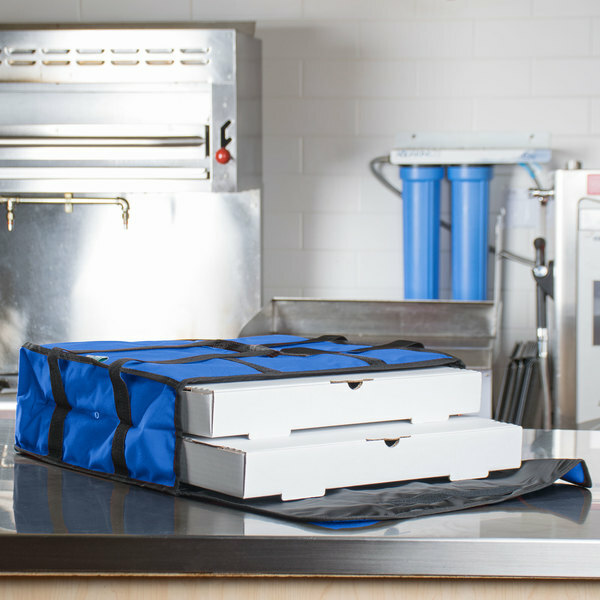 Plus, it has a front loading design that makes it easy to insert orders for quick, efficient service. 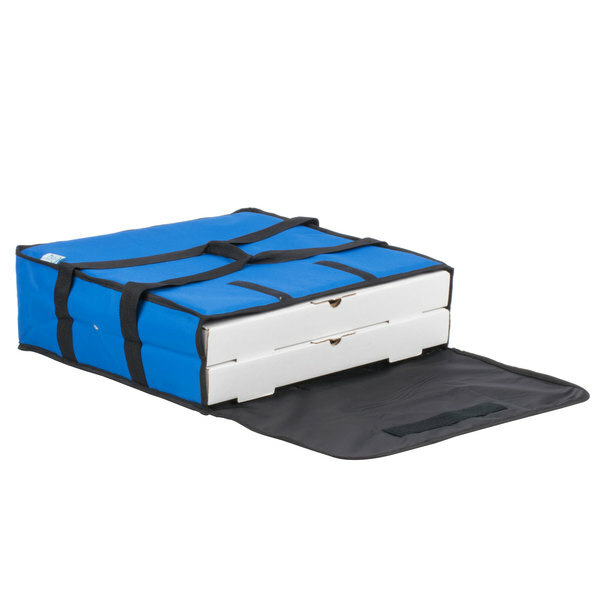 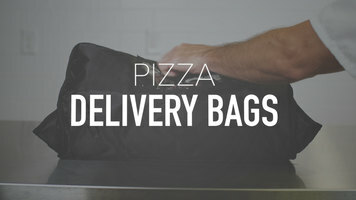 This bag can carry two 16" pizza boxes or one 18" pizza box, or a variety of subs, casseroles, and deli trays. 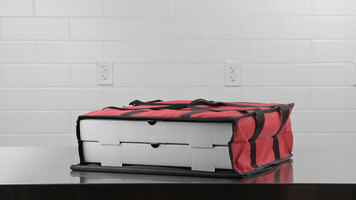 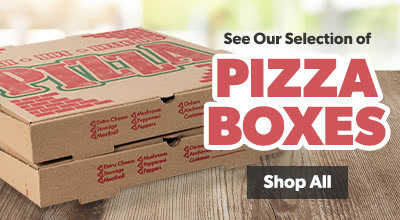 Reinforced handles make your pizza delivery person's job comfortable with the easy-to-carry design. 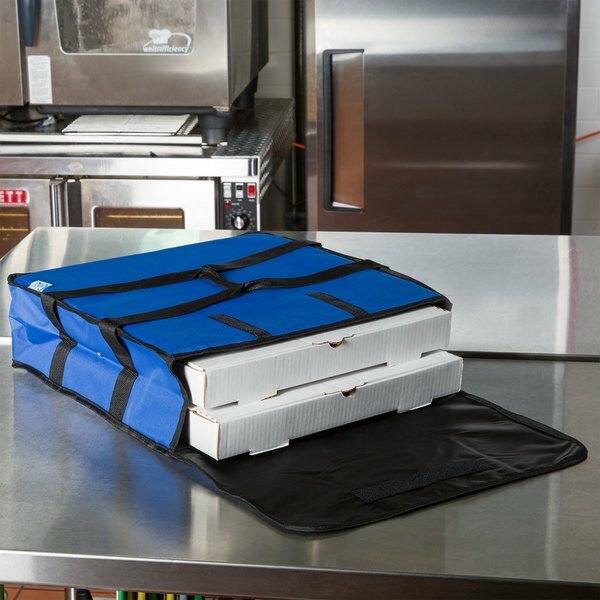 Velcro® strips make it easy to quickly open and close the bag for speedy service, but also ensure that the bag remains securely closed during transportation.